Lovely surprise to get my invitation to join in the fun. Looking forward to exploration and journey. 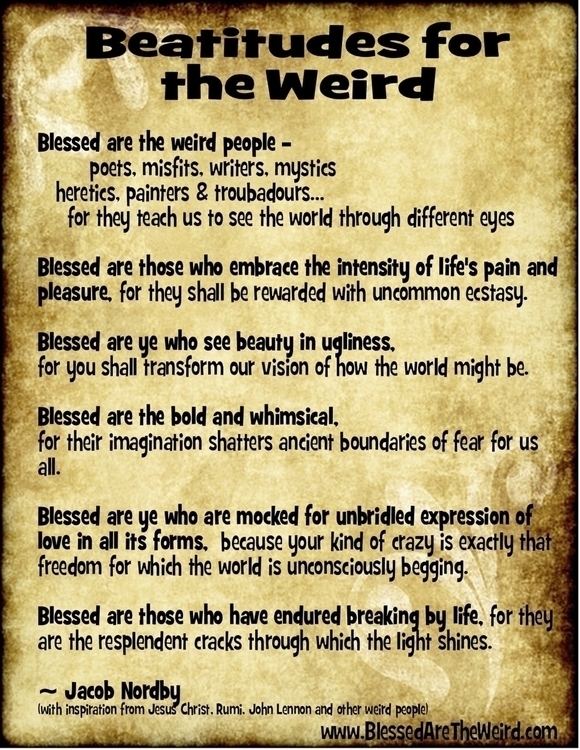 I'm reminded of Jacob Norby in first glance here ... "Blessed are the weird people - poets, misfits, writers, mystics heretics, painters & troubadours ... for they teach us to see the world through different eyes." Thank you for welcoming me to your community.